Mitsuko (Riisa Naka) is a young woman who believes everything will be okay and always tries to help those around her. One day, she met an American man and wanted to help him. They became involved in a relationship and she moved with him to California. A little later, her boyfriend left her and Mitsuko returned to Japan alone. Her parents, who run a pachinko parlor, still think Mitsuko is living happily in California. Now, Mitsuko is nine-months pregnant, unmarried and almost broke. She has to move out of her apartment. Yet, Mitsuko still believes everything will be okay. Mitsuko doesn't know where she will go, but she lays downs on a bench and watches where the wind blows. Mitsuko then knows where she will go. She'll visit an elderly woman who was her parents' landlord many years ago. Mitsuko will also see again the boy (Aoi Nakamura) that held a life-long crush on her. 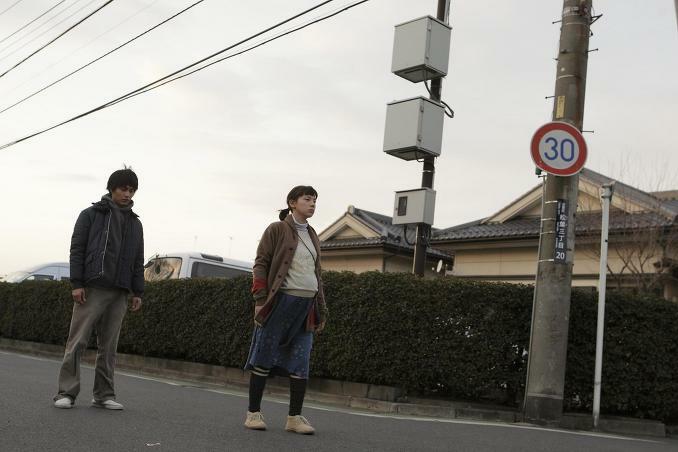 Rock band Going Under Ground wrote the theme song “Ai Nante” at the request of director Yuya Ishii. Q&A for "Mitsuko Delivers" took place after a screening of the movie at the 2011 Busan International Film Festival on October 12, 2011. Appearing as speakers are actor Ryo Ishibashi, actress Riisa Naka and director Yuya Ishii. AsianWiki editor Ki Mun was there and transcribed/translated the session. Yuya Ishii (director) - Hello. I am Yuya Ishii, the director of this movie. This is my first time visting Busan. I arrived here yesterday and will leave tomorrow. I am having a good time and hope you had good time watching my film. Riisa Naka (actress) - (speaks Korean) Hello, I am Riisa Naka. I'm glad to meet you. Busan is the best! (speaks Japanese) This is also my first time visiting Busan. I had a good time, like having the "ttaemiri" (bath & skin scrub). I would be happy if you watch this movie not one time, but many times. Ryo Ishibashi (actor) - (speaks Korea) Hello, I am Ryo Ishibashi. I am really grateful you have come today. Thank you. Audience Question - This question is for the director. In the movie you referenced California in a negative light. I think that might come from a historical connection to before and after the world war? Question for Riisa Naka, last year you came to Bucheon (PiFan) and at that time you played a young girl in the movie "Time Traveller: The Girl Who Leapt Through Time," but this time around you play a young pregnant woman. You seem to play diverse characters? Yuya Ishii (director) - America has been a symbol of civilization since World War II. I borrowed that image. Nothing more ... and not meant to be a negative image as well. Riisa Naka (actress) - When I acted for the movie "Time Traveller: The Girl Who Leapt Through Time," I was in my late teens. Now, I'm 21-years-old. In 2 years, I went from acting as a girl to a pregnant woman. To be honest with you, I thought it was a bit early to perform as a pregnant woman for my age. I was initially surprised that I was portraying a pregnant woman, but my character Mitsuko is quite different than an ordinary pregnant woman. She's more fearless than an ordinary young pregnant woman. While performing the role, I realized my type of character could really exist. The jump did come quickly from performing as a girl to a pregnant woman. Audience Question - In general, I could sense from the movie that the director has a lot of confidence. Where does the confidence come from? Yuya Ishii (director) - For a director, if there's no confidence then they really can't direct. If I go to a filming set without confidence usually a big problem occurs. I still worry and feel uneasy at times, but, like Mitsuko in this movie, I force myself to think that everything will be okay. Moderator - In your previous movies, the female characters seem to have a feminine side, but later give strength to people around her. Is that maybe your ideal woman you are depicting? Yuya Ishii (director) - I don't know ... when I make my films I don't think about ideal woman types. 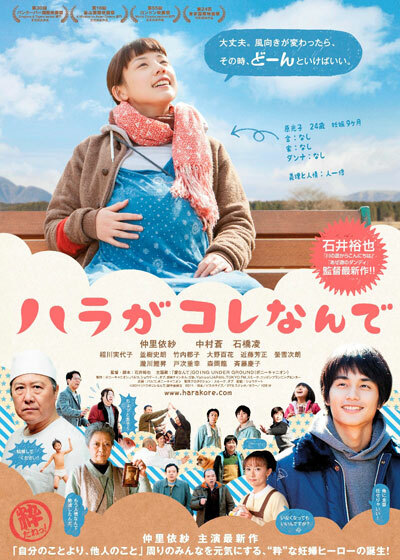 Like Riisa Naka mentioned, her characters isn't an ordinary pregnant woman. I like to depict people generally, how they live and how they should go forward. To express that I chose a woman this time. It doesn't have anything to do with my feminine preferences. Audience Question - This question is for Ryo Ishibashi. Most of the characters you have played so far were strong men. In "Mitsuko Delivers" you play a man that's quite indecisive and timid at times. What were your impressions of playing such a character? Ryo Ishibashi (actor) - So far, the characters I have played ... about 70% were bad men and about 70% were killed by the end of the movie. I'm glad I got to live through the end of this film. I admire my character's quality of being stupidly honest. Audience Question - Question for Ryo Ishibashi. In this movie your character is a simplehearted man. He also couldn't express his feelings to the woman he loved. In real life, how would you express your feelings to a woman you care for? Question for Riisa Naka, your character expresses herself freely in this movie. I get the feeling you are an energetic actress. Any artists in particular that inspires you? Ryo Ishibashi (actor) - In reality I talk directly. (speaks Korean) Is that okay? Riisa Naka (actress) - There's a lot of actors and actresses I respect. When it comes to inspiring me personally I look up to Lady Gaga a lot. I admire her. After the earthquake & tsunami in Japan, Lady Gaga visited Japan. At one of her appearances I got the chance to say hi to her. At that time I felt power from her and her performance. Even though we work in different fields, I feel energy from her and she has inspired me greatly. Audience Question - This question is for Yuya Ishii. The movie mentions the passing of the wind a lot. Tell us your interpretation of that? Question for Riisa Naka, your character is aggressive. In your view, what are some positives and negatives of Mitsuko's character. Yuya Ishii (director) - A long time ago in Japan, a famous poet named Matsuo Basho existed. He wrote about the spirit of East Asia. Like the line "reflect my life in the wind ..." Nowadays, I am attracted to that kind of spirit a lot. I hope to bring about such winds to effect people. Riisa Naka (actress) - If somebody like Mitsuko is around me I think everything would be arranged well. Mitsuko would say "okay let's go" and everything would be done as it should. I don't have many people like Mitsuko around me, but I think it would be good to have that kind of person around. As long as she doesn't bring around a group of people to help influence me. web site Dec 20 2013 9:35 am Good way of describing, and fastidious paragraph to get data regarding my presentation subject matter, which i am going to convey in academy. "GOING UNDER GROUND、仲里依紗主演映画『ハラがコレなんで』で主題歌初挑戦", "Yahoo! Japan," "August 16, 2011"